Hello my name is Joe Bertoni and I’m the owner of BERTONI DEFENSE SYSTEMS. 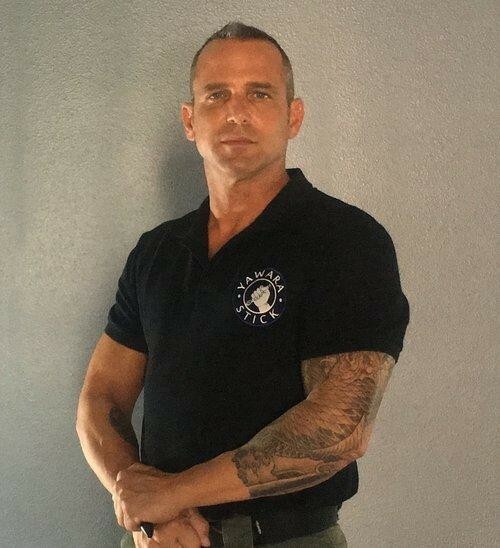 I have been teaching personal safety and defense for over 20 years, so I know the challenges you face wen it comes to finding ways to defend yourself. Finding a self-defense tool or weapon can be difficult and depending on where you live, many personal self-defense weapons are illegal to carry. So the trick is to find a self-defense weapon that is practical, easy to use, affective for self-defense, and is legal to carry. When I came across the Security Umbrella, I was truly impressed. The Security Umbrella fits the specifications I look for when it comes to a person defense weapon. The heavy-duty construction is impressive. The tip and handle of the umbrella are well suited and designed for striking. The construction of the umbrella’s shaft makes it very well suited for blocking and defending. The look and feel of this umbrella makes it practical for everyday carry. If you are looking for a practical self-defense weapon that you can take anywhere, then I recommend you get this umbrella.